The region's first European colonists would graze their herds in community pastures throughout the summer. 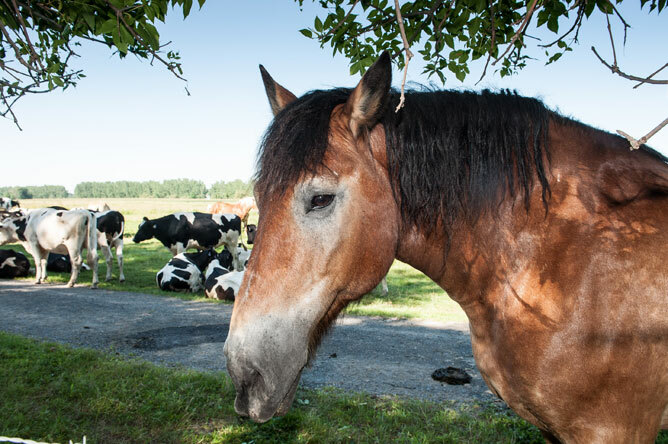 This tradition has persisted in modern times; there are still three community pastures in the Lake Saint-Pierre archipelago. 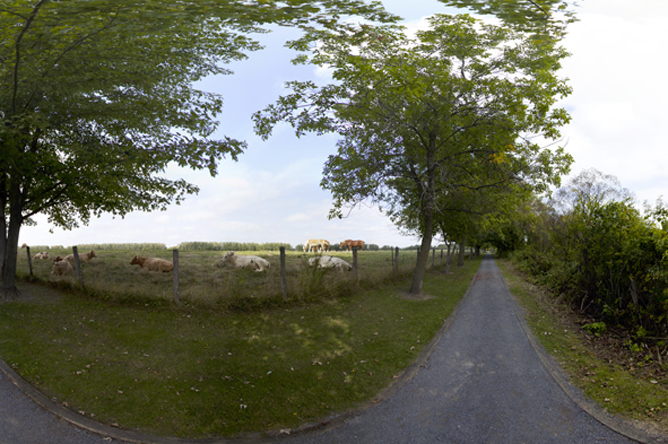 This photograph shows the pasture on Île du Moine, seen from a cabin on Île Bibeau. The community pasture on Île du Moine is also used to grow hay. Enriched by the spring floods, the soil produces hay with high nutritional content. In the early 20th century, many of the islands would flood at least once every two years, naturally fertilizing the soil. All the locals has to do was harvest the hay. The fields would only need to be renovated every 15-20 years. Everything was now so peaceful that the plain seemed to be given over to a resignation that passed into serenity. The Inlet, shorn of its withered reeds packed between land and water, looked wider. At one end of the village pasture, the last of the sheep stood huddled in close array, nose to nose and flank to flank, rigid, silent, and tenacious. On the morrow, they would have to be ferried across in a barge from the field to the fold. Today, there are no more sheep on the pastures of Île du Moine. The island is used exclusively to pasture heifers (young cows that have not yet calved). 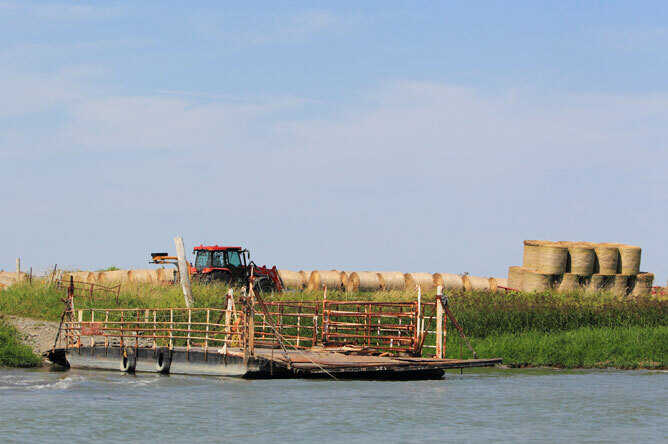 Farmers bring their livestock to the island in the spring on a barge, and collect them again in the fall. 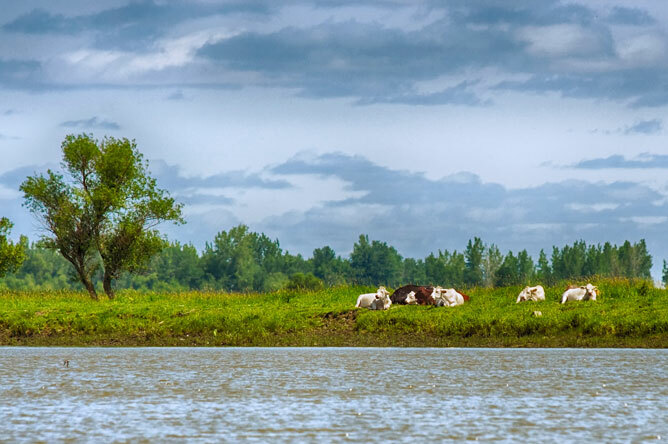 Beef cattle are raised on several islands at the mouth of the Yamaska River, not far from Baie Saint-François. 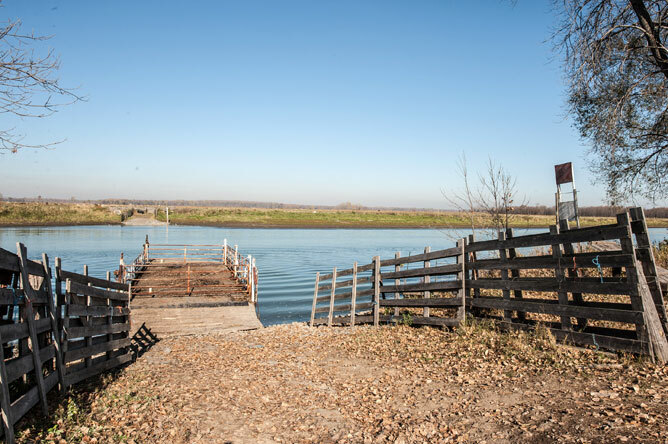 In certain places, the channels are shallow enough to allow cattle to cross from one island to the other. 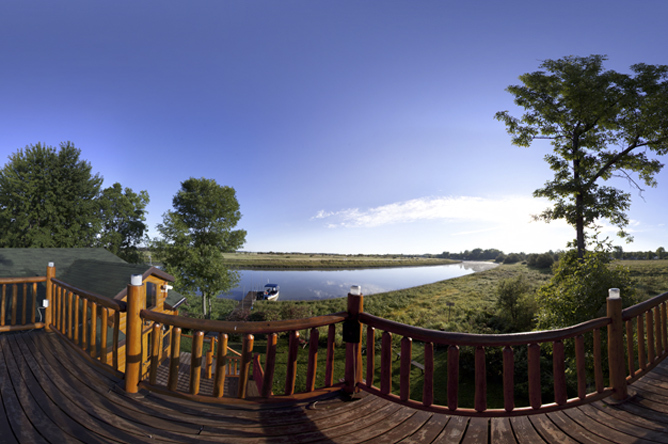 The nature trails on Île de la Commune and Île du Milieu allow visitors to learn about the fauna and flora of the marshes of Lake Saint-Pierre as they walk past the community pasture. The Société de Conservation, d'Interprétation et de Recherche de Berthier et ses îles maintains these trails and offers various activities. 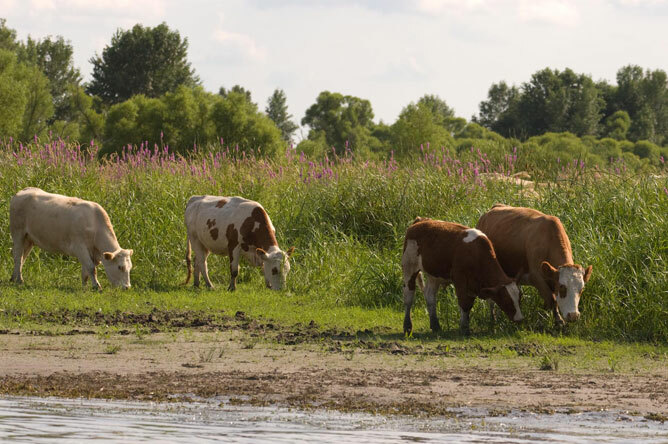 There are three community pastures in the Lake Saint-Pierre archipelago, on Île du Moine, Île de la Commune and Île Dupas. 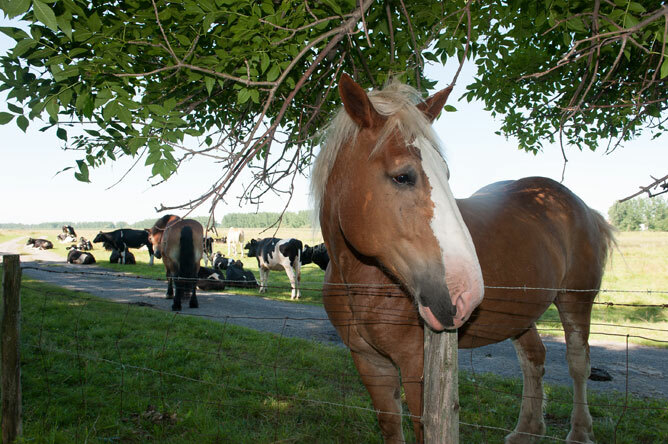 Visitors can easily approach the young cattle and horses on Île de la Commune.